When the offer came in from Jax Seafood to try one of their exclusive “custom-bred oysters”, I did a double take. Did the press release actually say these oysters were “created” in the Rappahannock River, by cousins who had “resurrected” their family oyster fishery? (Yes, it did). What have we here?, I wondered. Has farm-fishing gone the way of Dr. Frankenstein, creating new life from spare parts? What would that mean for our notoriously imperiled ocean ecosystems? Were the oysters “created” sustainably? Were they healthy? How do they taste? I had to find out. 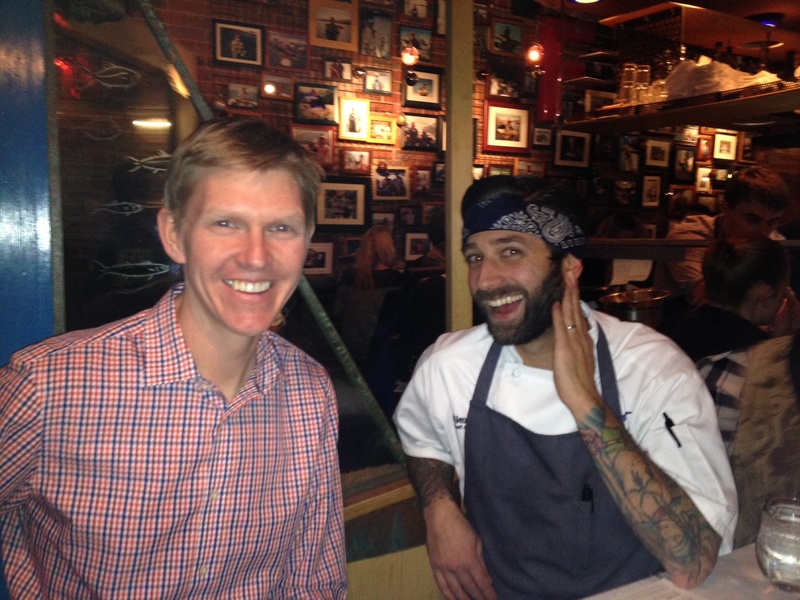 My partner and I were met at Jax on a busy Friday during the holidays by General Manager Rick Compton and Chef de Cuisine Alex Krill (yes, that’s his real name). Despite the bustle — Jax serves over 600 oysters during a busy happy hour — Rick and Alex spent over an hour with us talking about their specialty oyster: the Emersum. The brand is a strain of mollusk cultivated by Rapahannock River Oyster Co. (RRO) in a dedicated spot at Locklies Marina off the Chesapeake Bay in eastern Virginia. The Jax team is clearly excited about bringing this baby to Boulder. After learning about the farming process, and sampling a good number of Emersums with various pairings, I understand why. First to the taste: the Emersum is well-balanced, flavorful, and mild. It’s a perfect starter oyster, for an evening, or for anyone who has not yet come around to the amazingness of this long-valued foodstuff. 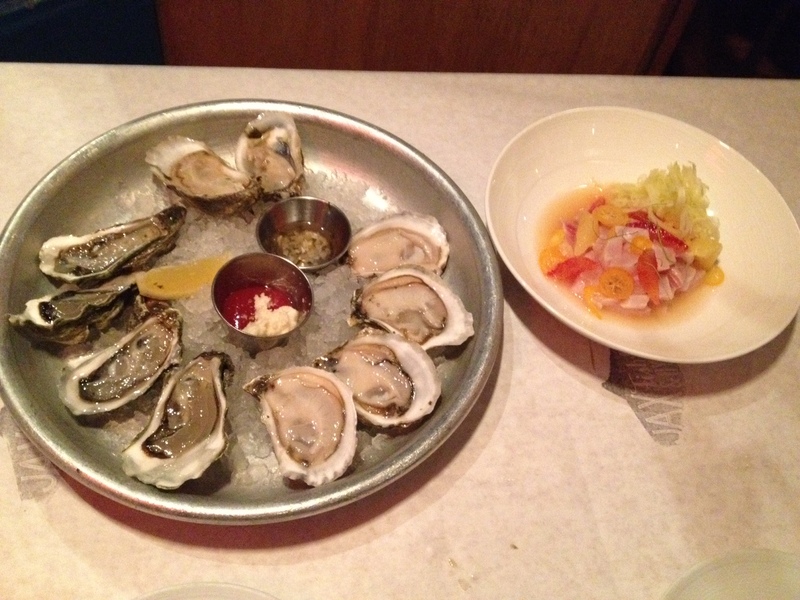 (Oysters were a delicacy in Ancient Rome, a workingman’s lunch in Victorian England, and provided employment AND nutrition to 19th century fishermen and laborers who powered the burgeoning New York restaurant trade). I’m no sea-mmelier (we’ll get to the title of the article in a moment), but I’ll note the main taste qualities any average joe will pick up in an oyster: size; texture (on the meaty-creamy-slimy scale); saltiness; any other strong flavors, especially mineralities that might seep in from the shell. To those points: the Emersum is medium-sized, appealingly creamy, low in brininess, with a clean, sweet, fresh taste. My partner compared the experience to that of a semi-hard cheese (say a Gruyere) you might nibble between more assertive and textural bites (a Roquefort or Muenster). Indeed, if you are just sticking your toe into the oyster bed, a course of Emersum alone is a great entree; if you are an oyster fan (or one of us who ask after the uni batch at the sushi bar), you might try the Emersum as a subtle bridge between more exotic or spicy tastes. About that word “merroir” — I didn’t make that up. Obviously based on “terroir” – the word for the qualities in a wine derived from the source grape’s environment — “merroir” merely names a basic fact about oysters: all oysters grown in a particular oysterbed will generally taste the same. No amount of seabed manipulation, supplemental ingredients, temperature change or even aging will change the base taste. It is true that some racks (including the Emersum) are agitated to produce a harder, deeper shell cup. But the taste will be consistent. So if you are a scaredy cat like Jonathan Swift (“He was a bold man that first ate an oyster”), rest assured that bolder men and women have gone before you to make sure the Emersum makes the grade. Notching high marks for nutrition and taste, this venture scores equally high on social enterprise dimensions. All RRO oysters sold at Jax are grown through a “spat-on-shell” method, in which a baby oyster “spat” is placed on a shell and then allowed to grow in clumps that simulate natural reefs. What’s more, the shells from all four Jax locations are returned to the marina in Virginia for re-use. The method requires disciplined stewardship of the oyster beds, monitoring of water levels, protection from predators, and culling out of undersized or misshapen shells, all throughout a 1-3 year growing period. The process as it has been developed does not deplete the environment of essential elements (no dredging, or adverse impact on other marine resources), and is thus sustainable. Indeed, farmed oysters are listed as a “Best Choice” on the Seafood Watch List. 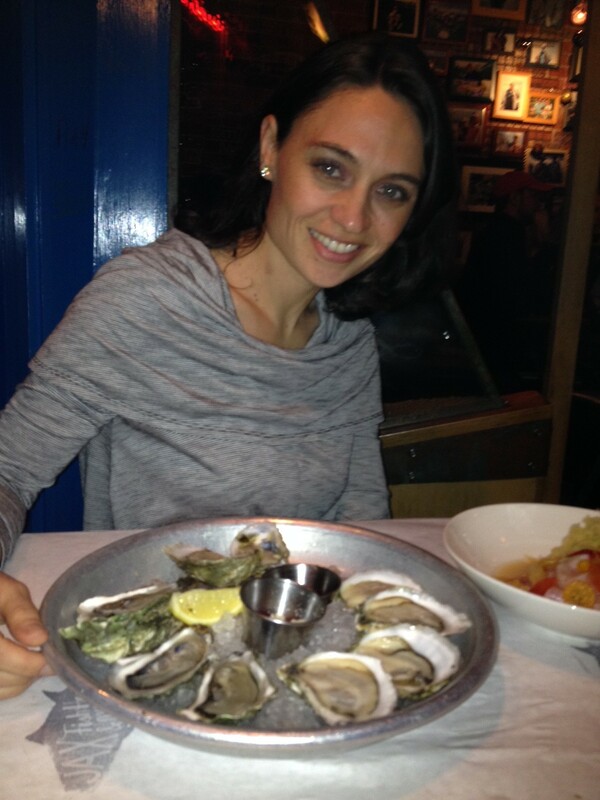 By the way, apparently oysters are an excellent source of zinc, iron, calcium, and selenium, as well as vitamin A and vitamin B12. And some animal rights ethicists consider it acceptable (or at least more acceptable) to eat oysters compared to other aquatic beings, due to their lack of a central nervous system, and ostensible inability to feel pain. 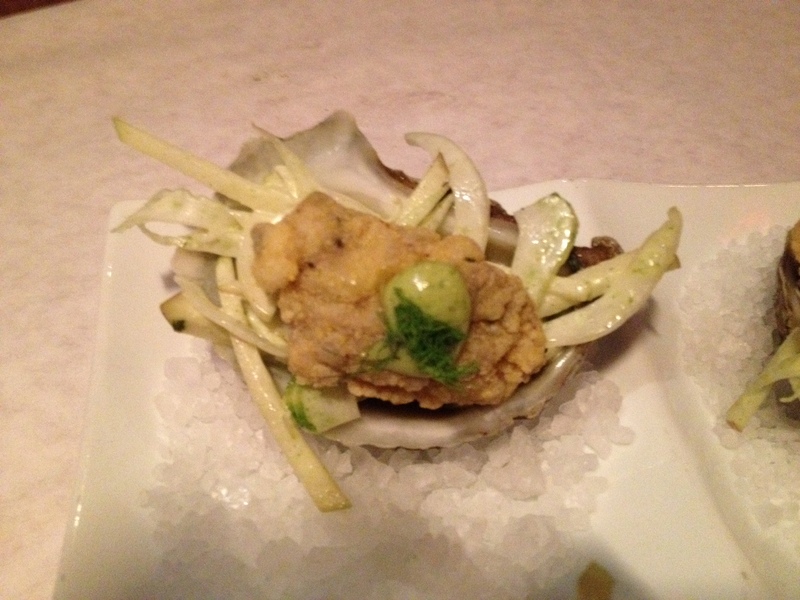 The only place in the world you can get the RRO Emersum oyster is at Jax restaurants. They sell over 3,000 a week, at their four locations combined. (Denver is tops, with Boulder second.) The next time you are looking for a happy hour adventure, be bold: stop in at Jax and try a few. Fantastic article! Breezy but informative, brief but packed with sustainably interesting bits. Definitely have some questions about the ethics of a journalistic vocation (something I thought was a perk is maybe frowned upon?) but that will have to wait for a happy hour at Jax. Thanks Allan. Are you calling the article an oyster? I’ll take it! Not sure what you mean about a perk, though …..